We have long advocated that street art and Graffiti are a particularly potent force for public dialogue about issues facing our urban spaces. 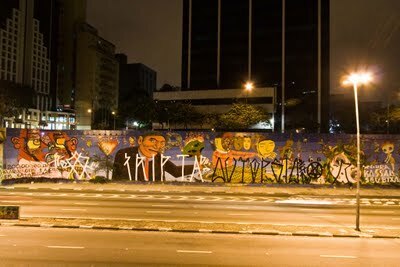 A recent post on Arrested Motion on the interaction between Pixadores and commercial street artists in Sao Paolo helps prove the point. According to the post, some Paolistas are angry that the city is funding beautification projects while the cities poor are overlooked. Taking this issue to the streets they defaced a city funded mural project with the following sentence. 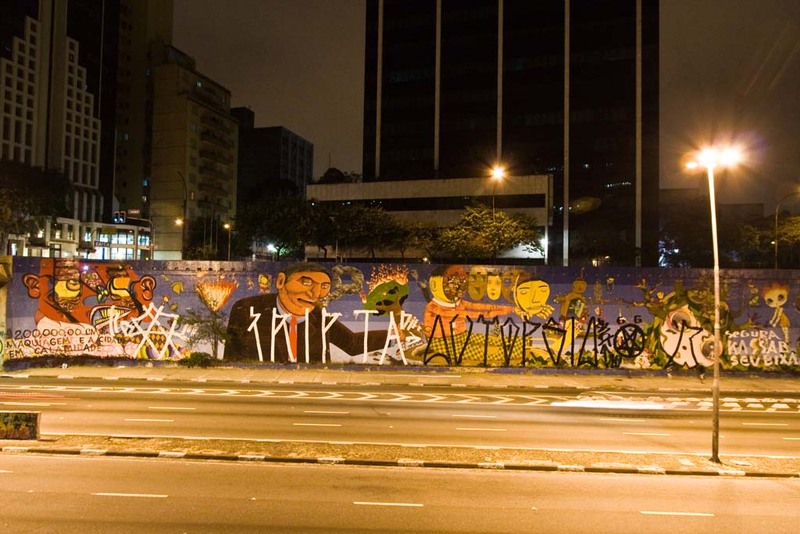 “R$ 200,000 in makeup, and the city is in calamity.” In doing so they have created an important dialogue about who the city looks after in a very visible way. Sadly their commentary was removed immediately as it was clearly not to the cities liking. I do hate to see such beautiful work buffed like this but I am happy to see that conversations through public works continue to push important social issues.